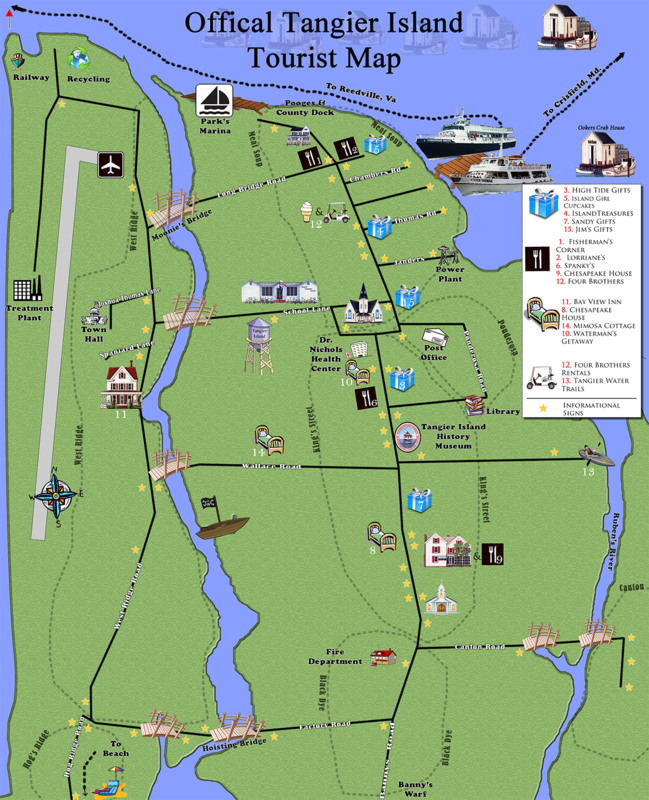 Visit the remote Tangier Island in the middle of the Chesapeake Bay for a day of family fun! The island is in Virginia waters and is part of Accomack County. Your cruise leaves from Historic Reedville, VA, the center of the largest fishing industry in the United States. Our ship, the Chesapeake Breeze, is comfortable, and the views from the upper deck can’t be beaten. The ship often passes fishing boats working their nets or large ocean freighters traveling between Baltimore and Norfolk or points beyond. You also see Tangier Island watermen making their living on the bay. Walk around this quaint island or take a tour on a mini-bus. Either way, you are sure to remember your trip to Tangier Island for a long time to come. Depart Reedville at 10 a.m. Arrive Tangier at 11:30 a.m. Depart Tangier at 2:15 p.m. Arrive Reedville at 4:15 p.m. Whether you’re craving crab cakes or a soft-shelled crab sandwich, Tangier Island has some of the freshest seafood from the Chesapeake Bay. Spend a night or the whole weekend away from the city. Enjoy the peace and quiet of Tangier Island nights and make the most of your time away from home. Customers receive a full refund with 24 hours’ notice of cancellation. Customers also receive a full refund in case of operator cancellation due to weather or other unforeseen circumstances. Contact us by phone to cancel or inquire about a cancellation. No-shows are charged the full price.